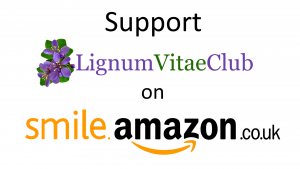 The Lignum Vitae Club is a charitable organisation whose purpose is to support charitable causes which provide education and skills training opportunities for disadvantaged children and young people from Jamaica and the UK. We have served the Jamaican community locally, nationally and internationally providing opportunities for Jamaicans to serve their communities. The Lignum Vitae Club, named after one of Jamaica’s national emblems, was established in 1969 in the UK, with the tradition of the serving High Commission as Patron and wife where applicable as Honorary President. To develop membership of Jamaican women working together to contribute to humanitarian and charitable causes locally and globally. Raise funds to help charities in Jamaica and the UK provide support for disadvantaged children and young people. To provide support for children and young people in Jamaica and other Caribbean countries who are victims of natural disasters. Its members are committed to the principle of service and support for the educational advancement of disadvantaged children and young people in the UK and Jamaica. By providing an opportunity for Jamaican woman in Britain to serve each other and their communities in the UK and Jamaica.